Two new Chinatown spots warn of the coming northern-barbecue outbreak. Kathleen Hinkel Friend BBQ on Wentworth in Chinatown. Kathleen Hinkel Skewers cook in the kitchen of Friend BBQ on Wentworth in Chinatown. 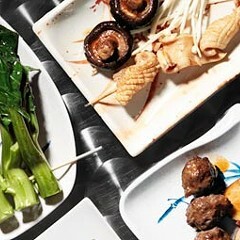 Kathleen Hinkel Skewers, scallop and eggplant dishes as served at Friend BBQ on Wentworth in Chinatown. 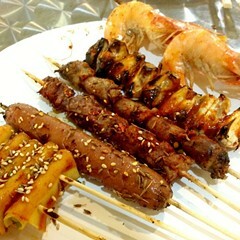 Kathleen Hinkel Big lamb skewers and scallop dishes as served at Friend BBQ on Wentworth in Chinatown. Kathleen Hinkel Wentworth in Chinatown. 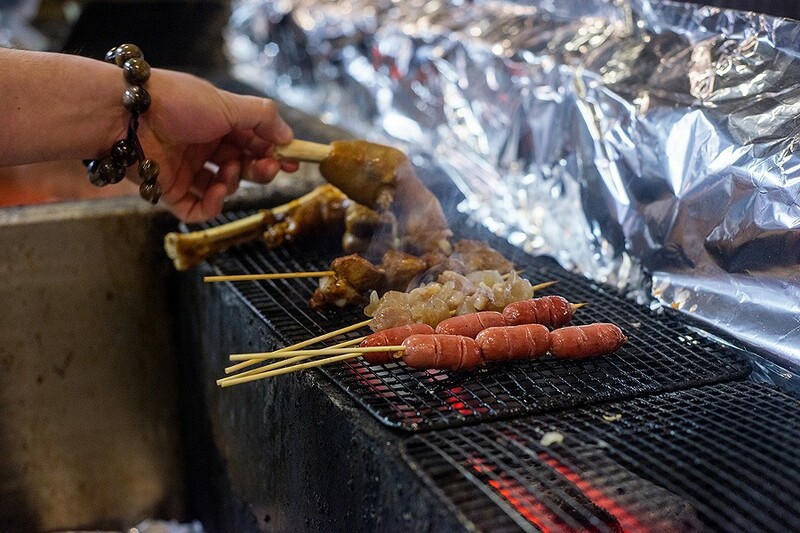 Kathleen Hinkel Skewers and pata lamb on the grill at Gao's Kabob on 22nd Place in Chinatown. From foreground they are sausage, beef tendon, ribs and pata lamb. Kathleen Hinkel Four-person stir-fry for $14 at Gao's Kabob on 22nd Place in Chinatown. 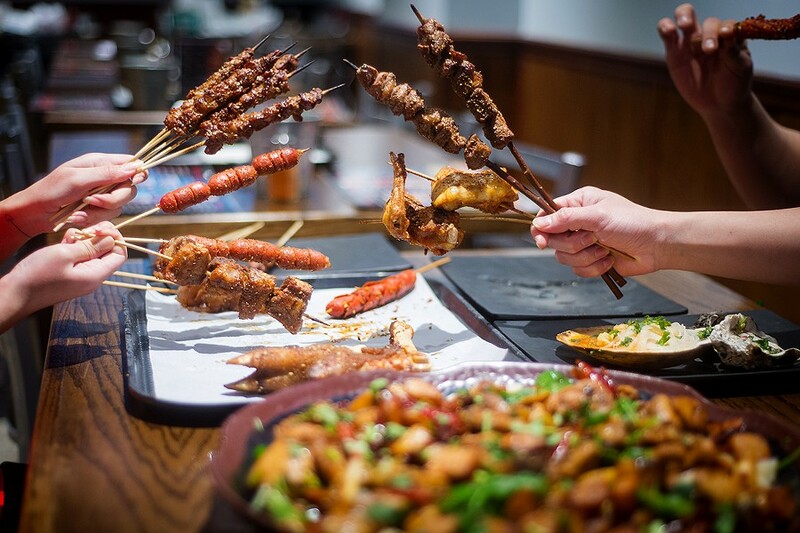 You could scratch your back with the red-willow twig that serves as the delivery vehicle for the Xinjiang special lamb skewer at Friend BBQ. You could knock it in a bow and practice your apple shot, William Tell style. Or you could order a dozen or so of these fatty, sizzling, spice-crusted meat sticks and, once you've gnawed them clean, head into the night to hunt the undead that lurk in the side streets and alleys of Chinatown after dark. Probably you'll just doink them in the metal canister set at each table of this two-month-old purveyor of shaokao, or northern-style barbecue, found on the streets of every city in China. That's also known as chuanr (串儿), among Muslim Uighurs in the far northwestern Xianjing autonomous territory from where it comes—likewise the particular species of shrub these little charred nubbins of ruminant flesh are threaded on. Like many good things, shaokao came to Chinatown via the Richland Mall basement food court, in this case five years ago at Lao Pi, a tiny food stall that specialized in all sorts of charcoal-grilled critters. 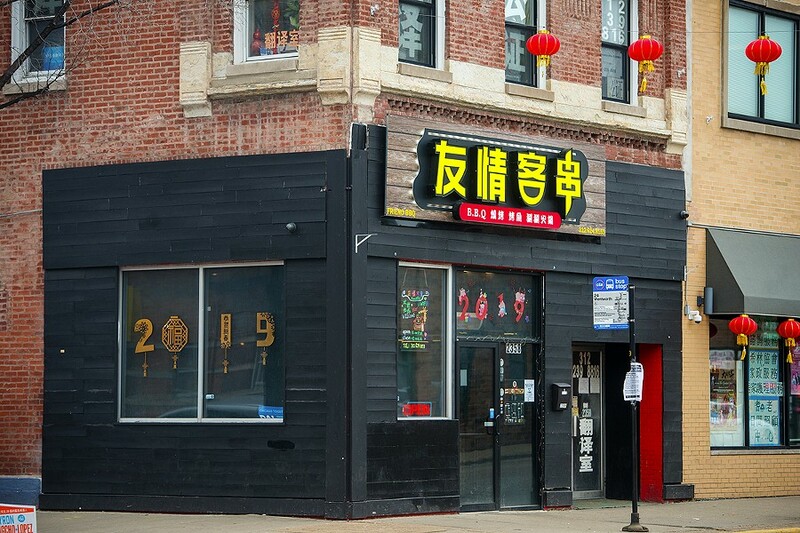 Lao Pi, sadly, is no more, though chuanr has been replicating quietly in a number of other restaurants in Chinatown, and seems ready for an outbreak with the recent opening of two specialists, Friend BBQ and Gao's Kabob Sports Grill. The former is a satellite of NYC's well-known Friendship BBQ, based in Flushing, Queens, while Gao's is a southern incursion, part of a growing minichain in flux, with locations in Houston and Plano, Texas (where it was recently renamed Focus BBQ). 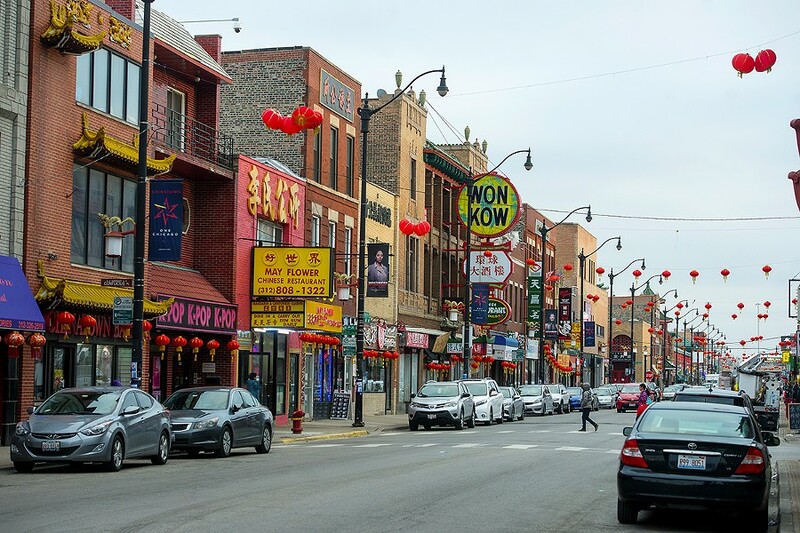 Since they've opened, both spots have been mobbed at times, usually late at night, when eating meat on a stick is the only safe method of exercising your twitchy jaws. These spicy chew toys beg for beer, but though both places offer it on the menu, you'll have to bring it yourself. Neither is currently pouring—which can be particularly frustrating in the case of Gao's, which opened in July in a narrow shotgun dining room on sleepy 22nd Place, well off the Wentworth stroll. 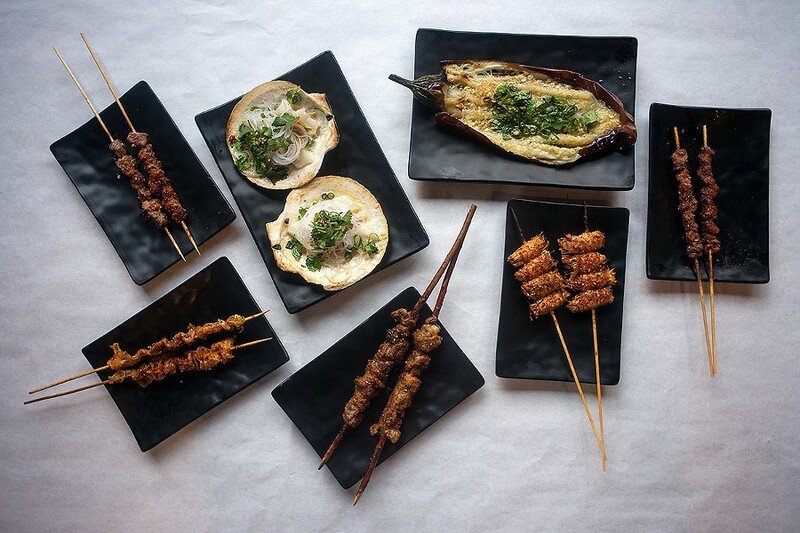 Of the two, Gao's seems a bit more open to offering the off bits, including, e.g., whole grilled lamb feet, square-angled joints of chewy cartilaginous connective tissue crusted in the blend of cumin, chile, salt, and sesame you'll find pasted on much of the chuanr you'll encounter anywhere. There are pigs' feet too, not unlike the jellylike roasted nuggets found at A Place by Damao. 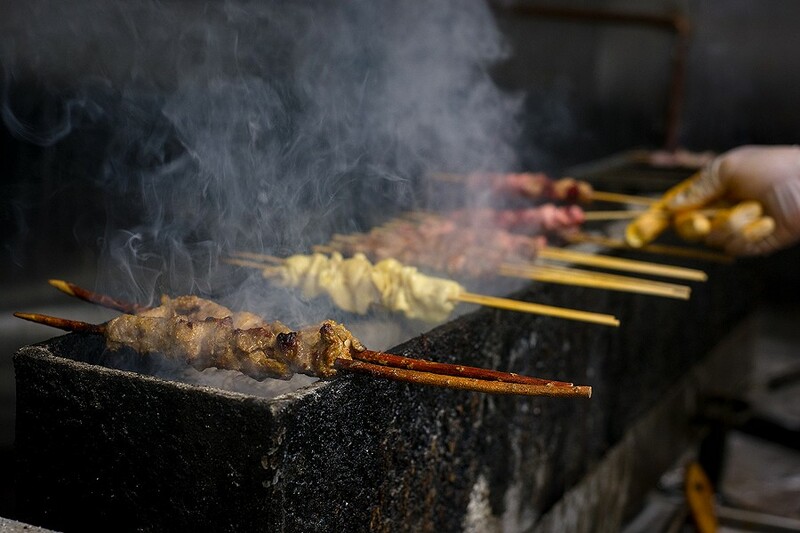 No matter what your anatomical predilection, Gao's will grill it on a stick for you: kidneys, gizzards, hearts, tripe, and tendon from different creatures in all their chewy, snappy, slithery variety. Though simple lamb- and beef-fatted muscles take top billing (red willow again, just for the former), there are lots of parts to explore, from ruddy pork riblets to suckered squid tentacle tips to scored cocktail sausages (notice how the first character in 串儿 looks like a couple of weenies on a stick) to sheets of textured tofu skin wrapped around lengths of chive that almost feel like a breath mint amid the relentless brush fire in your mouth. 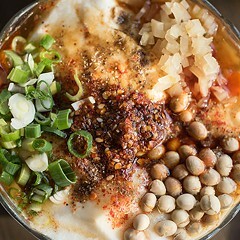 There are larger formats with which to fill out a session at Gao's—garlicky oysters, sheets of enoki mushrooms or more chives, piles of crayfish, heaping platters of spicy chicken and noodles. And there's quite a lot of overlap between this menu and that at Friend BBQ's, in addition to which each is almost indistinguishable in execution (though there seems to be a great disturbance in the Yelpverse with regard to both). At Friend at least you can distract yourself by staring at six mounted flat-screen TVs livestreaming Dota 2 game play (it's Survivor at Gao's). 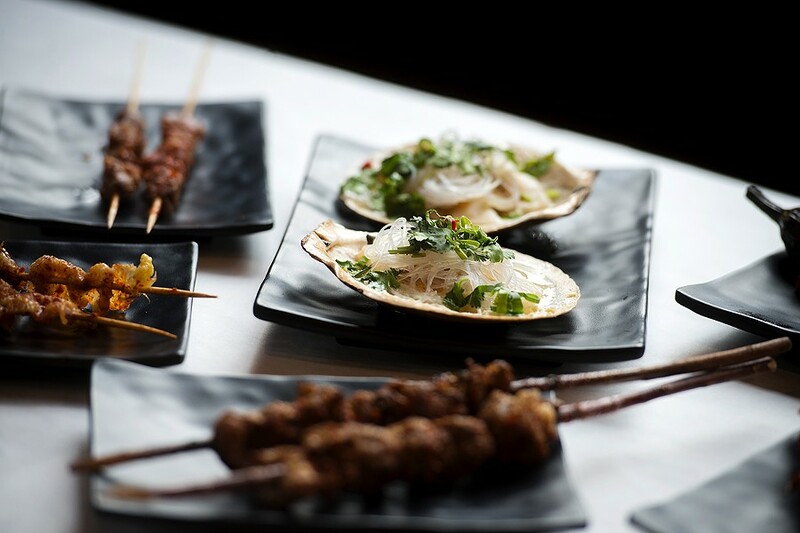 The Xinjiang lamb skewers are a size or two larger here, and I was particularly taken with the ribbons of chewy chicken skin and the cylinders of glistening pork belly wrapped around snappy enoki. Does it sound like a mess? Each spot provides plastic gloves to protect tender digits, and tables are set with paper to absorb the splatter—though at Friend you'll hardly need them with a roasted half eggplant slathered in garlic that seems delicate in comparison, each strand of the heat-sweetened fruit flesh ready to be chopsticked from the skin like a long noodle. Same goes for the chopped scallop meat served on the shell under a tangle of noodles. 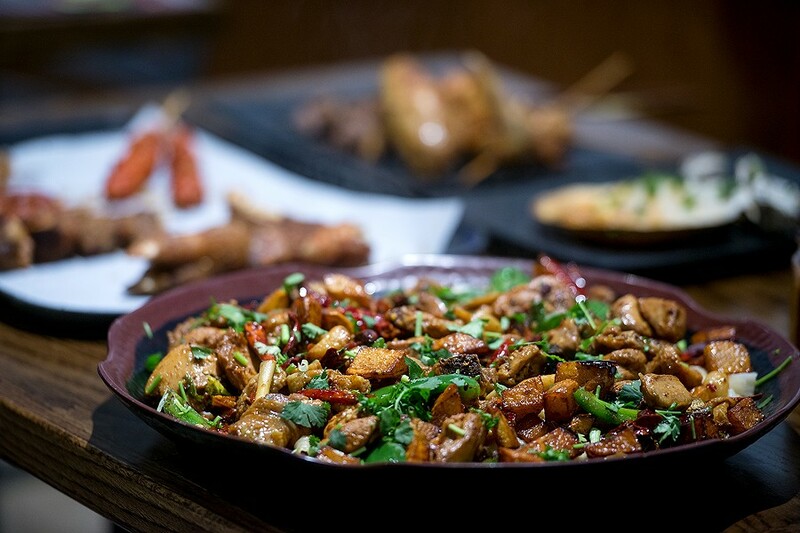 A Place by Damao is a Sichuan joint unlike any other.